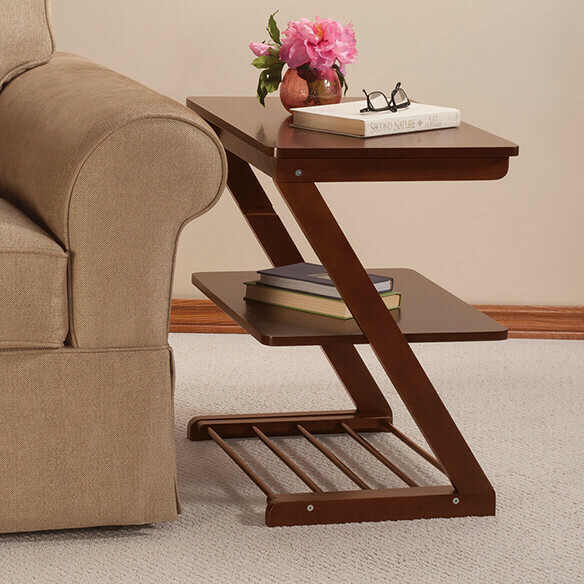 Side table with adjustable shelf by OakRidge™ puts customizable storage within easy reach. Spacious top surface provides plenty of room for lamps, books and more. Second shelf allows you to choose from 2 positions for custom storage space. 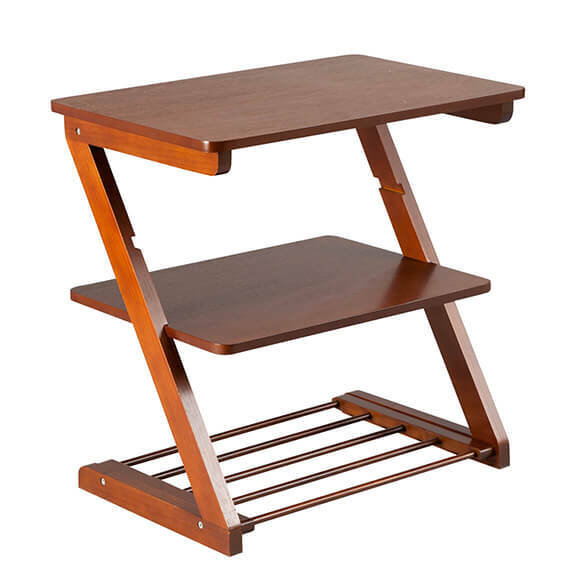 Ideal for living or bedroom, the accent table's bottom casters make it easy to move from room to room. Solid wood and MDF complements any décor. Minimal assembly required. End table measures 23 1/2" L x 15 3/4" W x 23 1/4" H overall. Second shelf is 20 1/2" L x 15 3/4" W.